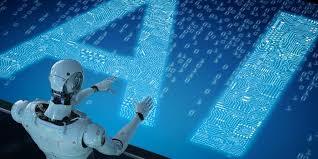 Steven Spielberg’s "A.I. Artificial Intelligence" chronicles the story of a robotic boy with a human-like consciousness trying to find his place in a future where robots and humans coexist though are decidedly unequal. The boy, David, played by Haley Joel Osment, is programmed to love a woman he calls mother, and he does, unconditionally. His level of love, however, is never fully reciprocated, especially when his mother’s “real” son is brought back to life. This has consequences for David, both emotionally and physically, as he struggles simply to be a member of the family. Not long thereafter, David finds himself lost and alone in a world where robots are sent to robot-dumps, put in destructive circus-like shows for jeering human audiences and must evade bounty hunters that want to use them for illicit means. Meanwhile, David’s sole goal is to belong. Technological advances are often met with a mix of eagerness and trepidation. Based on the 1969 short story by Brian Aldiss, "Supertoys Last All Summer Long", this 2001 film captures this excitement and especially this fear. The lines drawn to justify differing treatment between humans and robots blur when the latter are given a consciousness. This raises ethical questions about a world with artificial intelligence (AI) and the film particularly exaggerates the more negative potential aspects of this dual society. The questions are real. Do robots as conscious beings deserve the same respect and treatment as humans? Do they feel like humans do? If they get angry, does their inability to feel ‘true pain’ make them more of a danger to humans? Because of this, will they end up treated as a sub-human, as the film suggests? Perhaps the ultimate fear-based questioning is, could AI outperform humans and ultimately render us inconsequential? Although AI occasionally outperforms humans (as in AlphaGo) AI and machine learning experts take heed of the ethical implications of their work from the very early stages of AI design, and the majority of AI is designed to enhance life for humans. But do not take my word for it. This film will be shown as part of the 2018 Flagstaff Festival of Science: Accelerating into the Future. In conjunction with the film, the Festival will host two panel discussions with local AI and machine learning experts to help dissect these questions. The first panel, comprised of experts from NAU’s Philosophy in the Public Interest Department, is on Saturday, Sept. 22 from 3-5 p.m. at the Museum of Northern Arizona and is intended to focus on the ethical questions raised by automation. The second panel, comprised of experts from the NAU School of Informatics Computing and Cyber Systems and the U.S. Geological Survey Astrogeology Science Center, will analyze how Hollywood’s depictions of AI, including Spielberg’s A.I., compare to the realities of modern AI applications. This panel is Sunday, Sept. 30 from 5-7 p.m. at the USGS Flagstaff Science Campus.